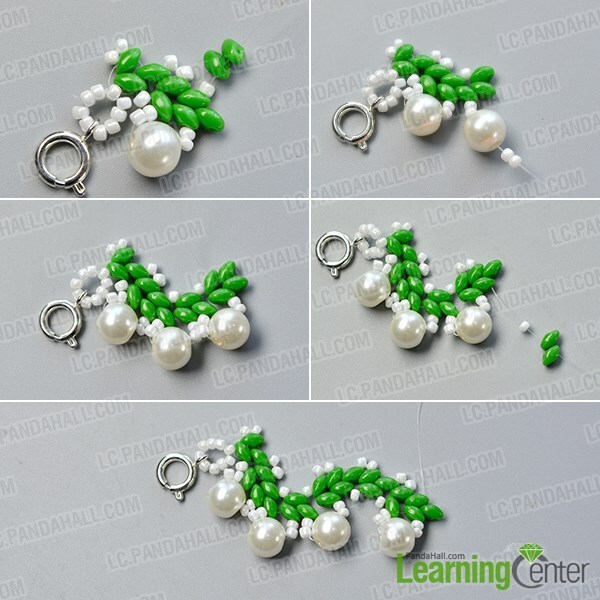 Summary: This tutorial is about making a collar necklace with 2-hole seed beads and white pearl beads, if you are searching for 2-hole seed bead tutorials, never miss this one. 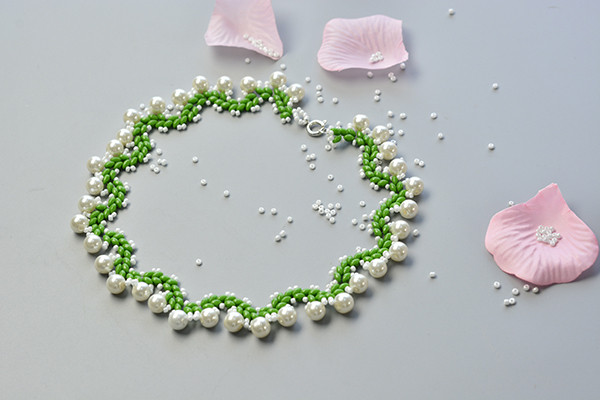 It might take a while to make such a delicate 2-hole seed bead necklace, but the procedure is not so difficult as you thought, if you want to know the details, keep reading! 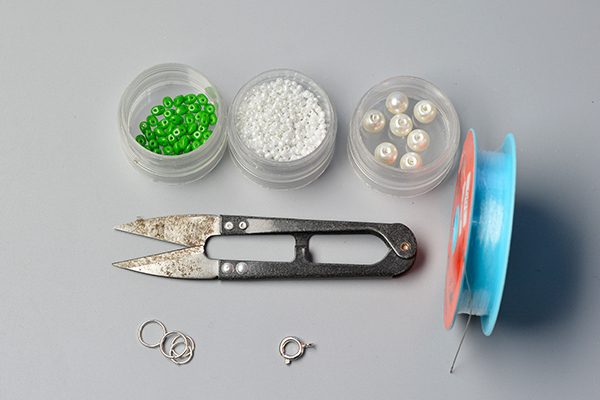 4th, cross the wire through one 2-hole seed bead, add one more 2-hole seed bead, and then cross the wire through another 2-hole seed bead. 4th, slide two white seed beads, one pearl bead, and another two white seed beads to the wire, then thread the wire through the right two 2-hole seed beads. 3rd, repeat all the steps to make more bead patterns. 2nd, add a jumpring to the white seed bead loop and connect the necklace with spring clasp. 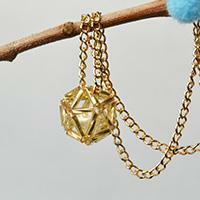 Very beautiful, and very chic design. 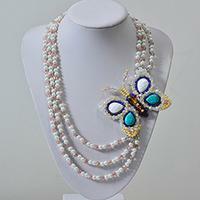 It will take time to make this pearl and seed bead necklace, but the finished work will show you it definitely deserves your time.